31 year-old housewife Ratna Wulandari lives in Jakarta, Indonesia’s capital and most populated city, and is currently pregnant with her fourth child. Wulandari already has five children. Three are her own, and two belong to her husband’s first wife. She is in a happy polygamous marriage, and believes that other Indonesian women can embrace her example. “Sister-wives help each other in marriage. I think polygamous marriage could be beneficial for women,” said Wulandari. To the majority of women in Indonesia, Wulandari’s outlook is controversial. The practice is frowned upon in society even though it’s legal in the archipelago. In Islam — the religion practiced by the vast majority of the population in Indonesia?—?polygamy is neither obligatory nor encouraged. A man taking up to four wives is considered mubah or “permissible” if a husband can be equally fair to all of his wives. Under Indonesia’s civil marriage laws, polygamy is tightly restricted. An Indonesian Muslim man must provide a consent letter from his first wife. Then, a religious court decides if the polygamous marriage can be granted, taking into consideration things like terminal illness or infertility of the first wife. Due to this restriction, many polygamous marriages in Indonesia are not lawfully registered. There’s no official number of legally approved polygamous marriages in Indonesia, but Siti Ruhaini Dzuhayatin, the founder of Indonesia’s first Women Crisis Center estimates they make up less than one percent of all registered marriages. Many polygamists in Indonesia chose nikah siri, otherwise known as secret marriages. It’s usually held in front of a Muslim cleric and, in many cases, is conducted without the permission of the first wife. While pro-polygamists have made multiple attempts to promote the virtue of having many wives, women’s rights activists in Indonesia speak out against polygamy and secret marriages because they’re seen as exploitative. In a recent case, AyoPoligami — a dating app aimed to help polygamists find partners?—?was forced to shut down in August after an Indonesian feminist publication published a report that went viral, showing the platform was rife with seemingly dubious men looking for extramarital affairs. AyoPoligami founder Lindu Cipta Pranayama told reporters the app had amassed more than 56,000 users in just five short months. He made an attempt to relaunch it in October, with stricter rules for the men who sign up. But due to the public backlash, it hasn’t been able to regain its initial popularity, said Pranayama. Wulandari never used AyoPoligami, but she thinks that the pro-polygamy community in Indonesia could benefit from having a stronger support system. “It’s not easy being a woman in a polygamous marriage. I am aware of the negative light cast upon us. I never try to explain myself to people whom I know would blatantly oppose my choice,” said Wulandari, who refused to have her picture taken. She and her husband’s first wife raise their children together. Their polygamous marriage is legally registered with the consent of the first wife, although Wulandari wouldn’t go into the detail of how she and her husband met. According to Indonesia’s National Commission on Violence Against Women, there were more than 250,000 divorce cases in the country in 2015. 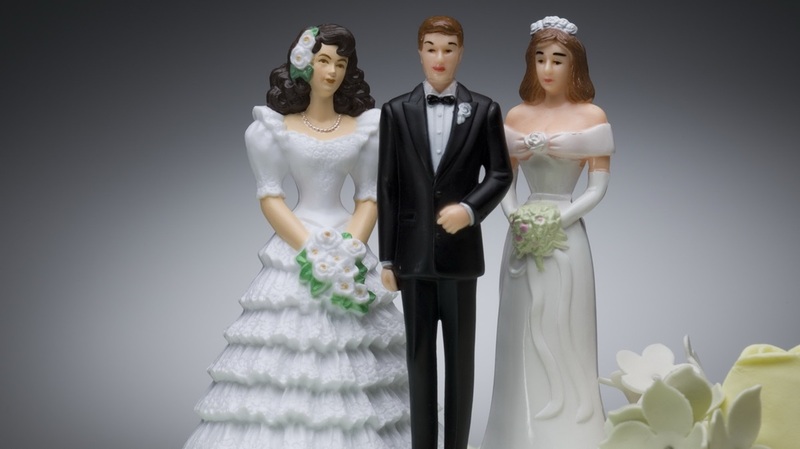 In 7,476 of the cases, polygamy was cited as the cause of divorce, meaning some women prefer divorce over accepting another wife into the marriage. Wulandari said she entered the polygamous relationship out of her own will, in following the religious teachings that she received. Her understanding about polygamy became deeper after she joined a polygamy seminar with Dauroh Poligami Indonesia (DPI) this year. Dauroh Poligami Indonesia (DPI) is a Jakarta-based pro-polygamy group that organises a monthly ‘Polygamy Seminar’ in different cities in Indonesia. 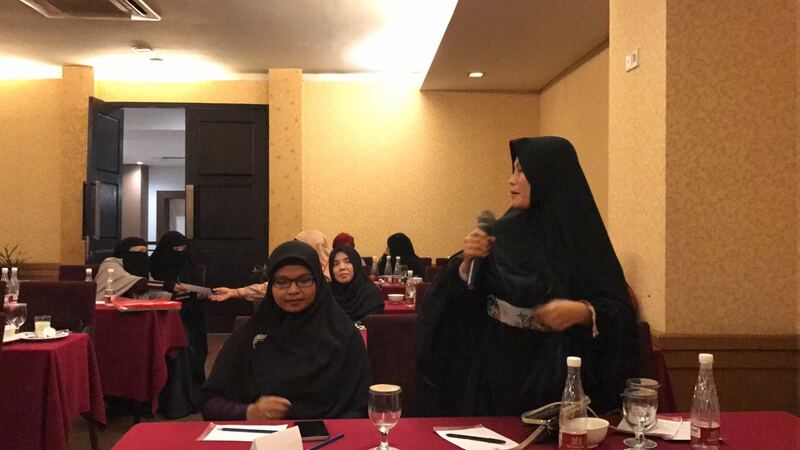 According to the group founder, Vicky Irawan Zaeni, the majority of participants of DPI’s polygamy seminars are women. The seminar advertises a “quick way to have four wives” and claims that it provides “real guidance” on the practice of polygamy. Getting in is expensive, setting male participants back around US$300 for a full-day session. To encourage female participation, the organisers give free access for women. “I was already in a polygamous marriage when I joined, but the sessions gave me a better understanding. In the seminars, I heard various testimonies from other women, and in the end, we are all taught that in order for the marriage to work, men have to learn on how to maintain the well-being of their wives”, said Wulandari. “For instance, if a man wants to take a second wife, he will need to make sure that his first marriage is healthy. It’s not about following a desire, it’s about making sure that you have enough knowledge about this practice,” she added. Siti Ruhaini Dzuhayatin, founder of Indonesia’s Women Crisis Center, says some women are socially conditioned to accept polygamy. Siti Ruhaini Dzuhayatin of the Women’s Crisis Center said that Indonesian women living in a conservative hold are often socially conditioned to accept polygamy. 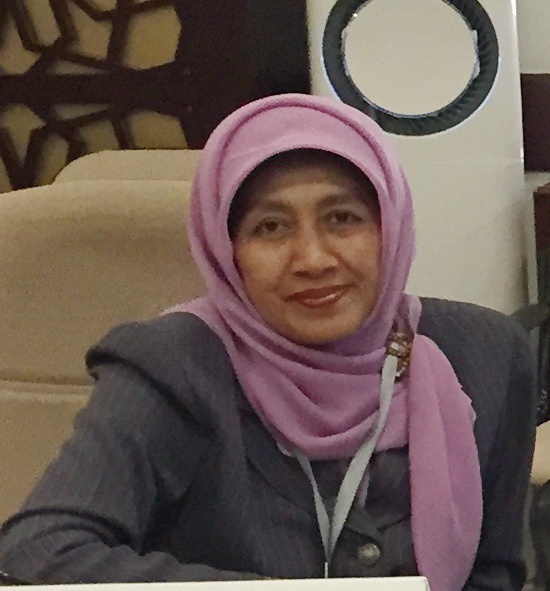 For the last 15 years, Dzuhayatin — who currently serves as the vice-rector in the faculty of Syariah and Law at the Islamic State University in Yogyakarta — has been a strong advocate of women’s rights issues, working with various stakeholders in Indonesia including educators and public officials. She also pointed out that despite many pro-polygamy backers using religion as a pretext to push the agenda, polygamy is not part of Islamic teachings.